» Blog Archive » DRtL Episode 38: Horror Soundtracks! DRtL Episode 38: Horror Soundtracks! Listen! What’s that sound? Does that eerie pulsing synthesizer music mean that there’s a killer lurking in the shadows? No — it’s just the latest episode of Don’t Read the Latin! This time out, we’re talking about horror soundtracks and scores that we love — even when they’re from films we don’t. Montoure goes all film-school on us and starts talking about diegetic vs. non-diegetic music, Jennifer carefully side-steps around the subject of a mysterious competition in her youth, and so much more! 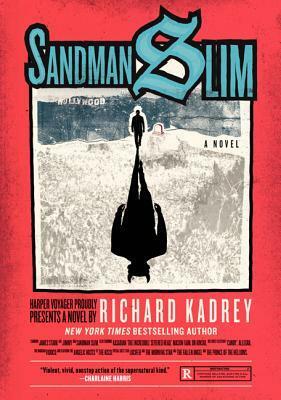 At one point, Montoure mentions that the film He Never Died (he couldn’t remember the title at the time, but that’s the one) reminded him of a novel called Sandman Slim, by Richard Kadrey, so here’s a link to that book on Amazon. (Or click on the cover image, here, if you’re more visually inclined.) It’s a fun read and you should check it out! He also mentioned the unused soundtrack for Hellraiser by the band Coil, and said that the whole thing was probably on YouTube. It is! You can give it a listen here. It’s very different from the soundtrack that actually got used! And finally, he also also mentioned a haunting little comic by Ehud Lavski about a mysterious radio station. He reblogged that one on his Tumblr. You can click on the thumbnail below to read the whole comic.